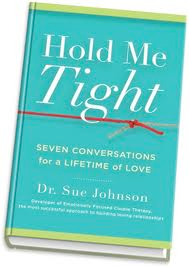 Hold Me Tight is a relationship educational program and a book by Dr. Sue Johnson based on the new science of love and the wisdom of Emotionally Focused Couple Therapy (EFT). The outstanding success rate of this approach has been heralded in scientific journals, The New York Times, and Time magazine. Who: Couples without serious distress, such as domestic violence, substance abuse, or severe mental health challenges. Works well as a supplement to ongoing couple therapy. How: We will work through the seven conversations and you will view video clips of real couples who have worked through each conversation. As a couple, you will have opportunities to privately do the exercises regarding these conversations. Cost: $450.00 per couple. Early bird rate: $395.00. Lunch and refreshments are provided. Trained by Dr. Sue Johnson and her colleagues, Debbie Wang will show you how to create a safe emotional bond that can last a lifetime.